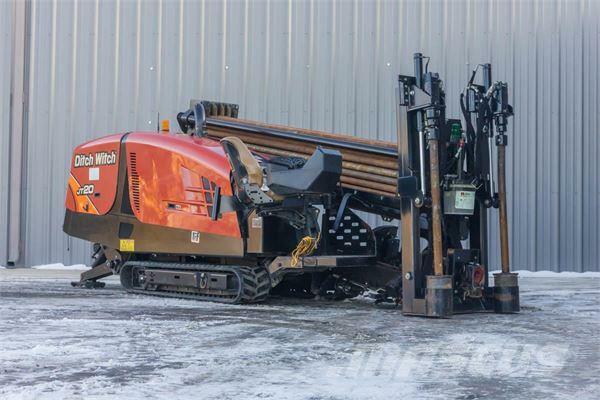 Dodatkowe informacje Description: This 2014 Ditch Witch JT20 horizontal directional drill with 3,241 hours is in great condition. This HDD drill has rubber tracks and rack and pinion. The rig also comes with 40 pieces of drill pipe (400 total feet). The power plant and fluid system has been fully serviced and inspected. This 20 has undergone a complete inspection of mechanical and hydraulic systems and has been drilled with at our facility and meets our Ready-To- Work standards. Demo this JT20 today!